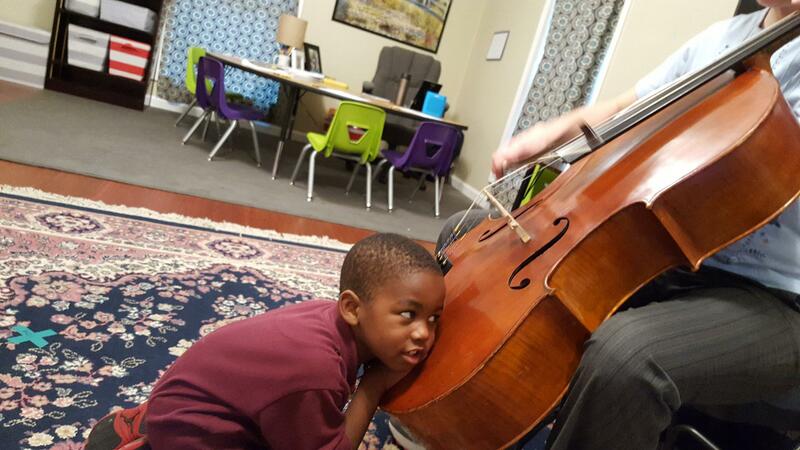 He "had the opportunity to explore the cello for the first time. He was able to pluck and bow (with help) the strings, but in order to get a better feel for how it makes such a big, low sound, he put his hands (and then his ear) to the cello's top. He was very excited and surprised at how much the cello vibrated!"